The forklift is a commonly used tool that helps people lift and move heavy loads with very little physical effort and excellent precision. Using a forklift lessens the risk of injuries caused by lifting or carrying heavy items. For this reason, many companies employ forklifts and forklift operators to do this kind of labor. These machines are powerful, though, and there is always risk involved when they are used by people who have not been trained on operating them safely. The National Traumatic Occupational Surveillance System registered 1,530 worker deaths from forklift accidents between 1980 and 2001. Of these accidents, the biggest portion, 22%, was caused by a forklift overturn. Collisions between forklifts and workers on the ground where the ground worker died accounted for 20% of deaths. Another 16% of deaths were caused by someone being crushed by a forklift, and 9% by an operator falling from a forklift. In fact, each year almost 100 people are killed and another 20,000 injured by forklift accidents. With proper training and diligent safety practices, most of these deaths could have been prevented. 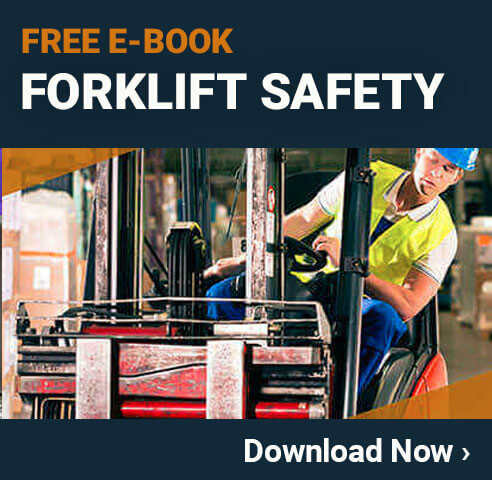 If you work around forklifts or are a forklift operator, you should learn all you can about using these machines safely to prevent injury or death. All forklifts fall under the category of ‘powered industrial trucks,’ but they are not all the same. Forklifts can be either battery powered or run on gas or diesel fuel. They also come in different sizes and have different functions according to the kind of work for which they will be used. Each type of lift is characterized by a class. Knowing which class of forklift you will work with should help you understand its safety features and potential hazards. Although you might think that driving a car would prepare you to operate a forklift, they do not work in the same way. In most automobiles the front wheels provide steering, but in a forklift the steering is done by the rear wheels. This allows the front end to be used to carry the load, but requires room for the rear of the forklift to swing around to make turns. Forklifts are also not as quick to respond as cars. Stopping quickly and swerving are hard to do without losing control of the forklift. It is also very easy to lose control on inclines. In order to minimize risks, you should always keep the load on the uphill side, which requires the operator to drive in reverse, sometimes for long stretches. Forklifts are equipped with a load backrest to keep the load from falling onto the operator. This backrest is required any time loads are lifted high and could fall to the rear when driving on uneven surfaces or in the case of acceleration or sudden stops. Forklifts that can be used to lift loads over the operator are also required to have an overhead guard. These guards are meant to protect the operator from small packages being dropped, but are not effective against the loss of a full load. Restraints for operators are standard requirements for all forklifts built since 1992. Older forklifts can often be retro fitted with operator restraints. As a forklift operator, it is important to always use the restraint because it can prevent you from being thrown out of the protective cage should your forklift overturn. Many fatalities occur because operators attempt to jump from the machine when it overturns. The nature of forklifts causes them to turn very slowly at first. Then the center of gravity shifts, and the turn speeds up rapidly. The slow turn gives operators the false sense that they have time to jump out, when in reality they do not. A horn to indicate when a forklift is coming through an intersection or when the operator’s vision is obscured. Forklifts also have backup alarms that will sound whenever the forklift operates in reverse. All forklifts should have a re extinguisher on board (a), especially those that are gas powered. The warning, directional, and brake light (b) must be in working order. Mirrors are often used to help the driver maintain a visual of his surroundings to avoid collisions with other equipment and people. Additional forward or rear-facing lighting may be present to assist with visibility in low light conditions (c). Along with maintaining the vehicle, any forklift operator must use safety precautions while driving it. You must remind yourself of how dangerous these vehicles can be and avoid situations that put you and other employees at risk. This includes any kind of horseplay on or around the equipment. There is always temptation to fool around and play games at work, but the potential for disaster is too great to give in to these temptations. Instead operators must remain completely focused on the vehicle and the job at hand. At the end of the day, it is the forklift driver who holds the keys to avoiding disasters. He or she has to understand how the forklift works and how to react in a given situation in order to avoid an accident. These skilled drivers have to pay attention to many factors while operating their trucks. For example, they must pay close attention to the type of terrain. Any loose objects, holes, or bumps on the road surface can lead to a loss of control. This can cause you to drop the load or sink and destabilize. The surface you drive on must be rated for four times the amount of weight you will carry. For example, if your forklift weighs 6,000 pounds and is carrying a 4,000 pound load, you multiply the total, 10,000 pounds, by four, which means the floor must be able to hold 40,000 pounds. Keep in mind that the weight on forklifts is not completely even, so if just one wheel goes off onto a surface that is not rated for that weight, it could cause the whole vehicle to destabilize. Set up clear zones that are forklift-only and pedestrian-only. Protect pedestrian walking areas with barriers between them and the forklift areas. Make designated crossing areas; maximize safety with overhead walkways or boom gates wherever possible. Set up and instruct all employees on the right-of-way procedures. Put up warning and traffic signs. Have employees wear reflective vests or other high visibility clothing. Always make sure the forklift warning devices and flashing lights are working properly. 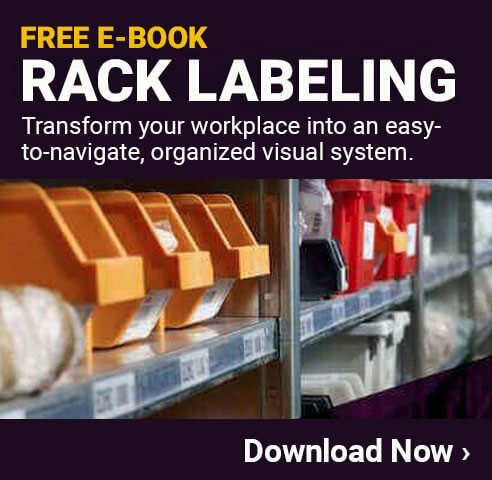 Keep the work environment well-lit and put visibility marks on the forklift. The forklift is a great workhorse. Forklifts save time and money by allowing workers to move large, heavy loads quickly. They.do also help workers stay safe by doing the heavy lifting and reducing the risk of injuries associated with manual labor. That being said, anyone who works on or around forklifts needs to be aware of the potential dangers that these trucks present. The design of a forklift allows it to do the necessary tasks, but it also requires operators to follow proper procedures. Anyone who uses these machines needs to be trained properly according to OSHA standards. The training should be refreshed often so that procedures continue to be followed no matter how comfortable or experienced an operator is with the equipment. Safety training is also necessary for employees who work around these machines. Employees should learn to be respectful of forklifts and know what a forklift operator can and cannot do to avoid collisions. While it may seem like a lot of work to develop traffic patterns and traffic signs, do maintenance checks, and provide constant training, it will be worth all of the effort. An operator with a good driving record has the potential to make a great deal of money. Likewise, a company that has a good safety record and procedures will save loads of money over time. Employees are any company’s most valuable asset, so train them properly to keep them with your company for a long time.